You love your phone, but you wished it could do just that one thing, right? 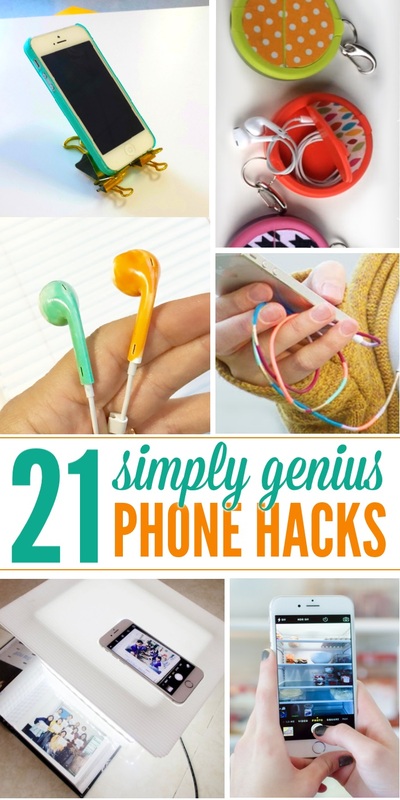 Twenty-One phone hacks you’ll love! Good or bad, our phones have become a large part of our lives. We’ve found 21 phone hacks that will simplify your life and have you wondering how you ever lived without them. We’ll even show you some creative ways to make the most of your smart phone. 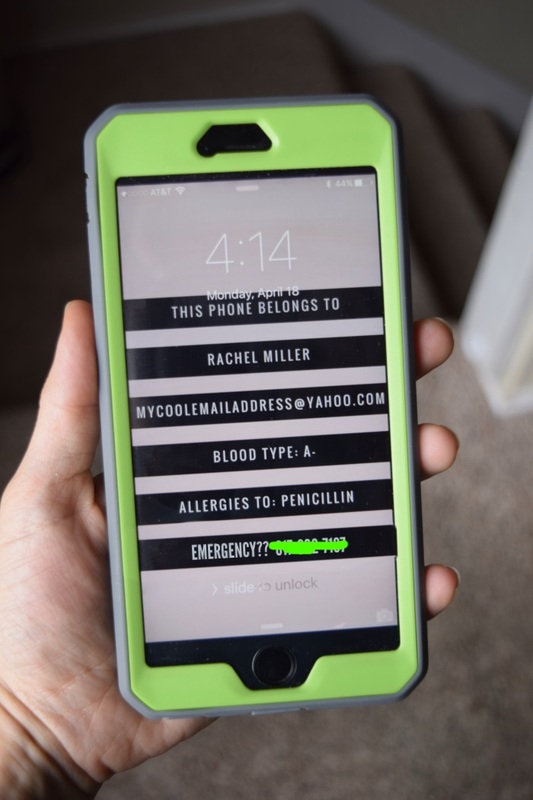 Lifesaving Lock Screen – This home screen hack is perfect for storing important information about yourself in case you’re ever in an accident or your phone gets lost. Make a graphic for your locked screen sharing important information in case something should ever happen to you. Fridge Photo – How many times have your been at the store struggling to remember if you need milk and eggs? 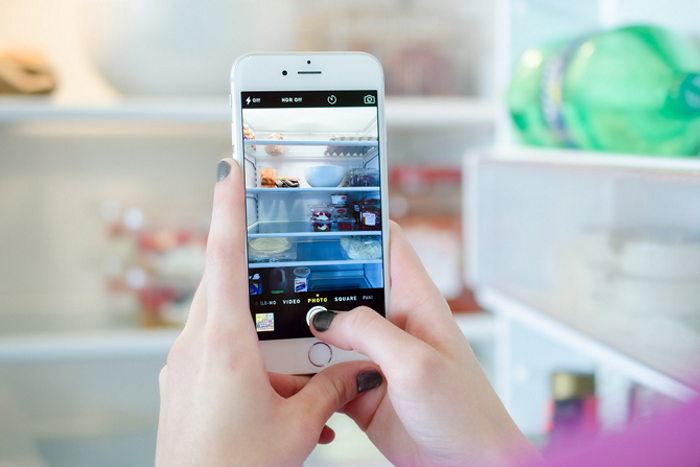 Snap a quick photo with your smartphone before your next trip to the grocery! Genius. 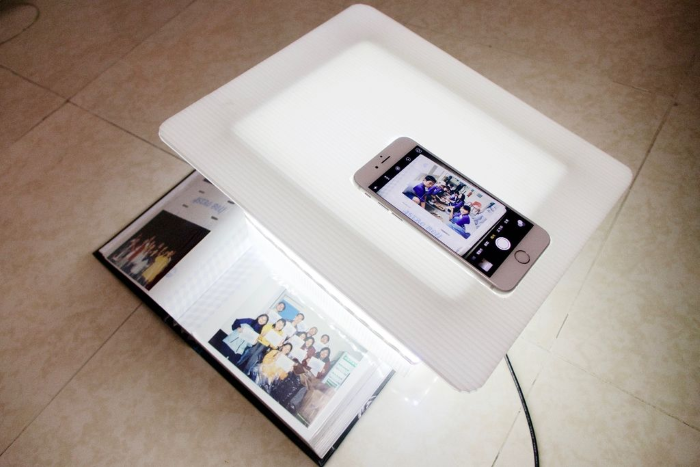 Turn your phone into a scanner – Got old photos in an album your want scanned? You can do it with your smartphone in just a couple of steps. 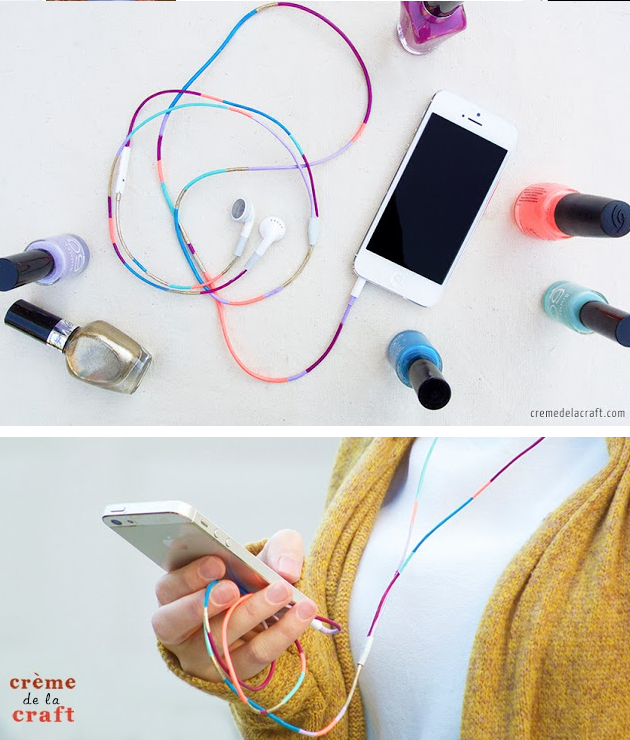 Nailpolish Headphones – Are people in your family constantly mixing up their headphones? Kids fighting over who’s are who’s? Here’s a simple solution – that is SUPER cute – and all you need is masking tape and nail polish! 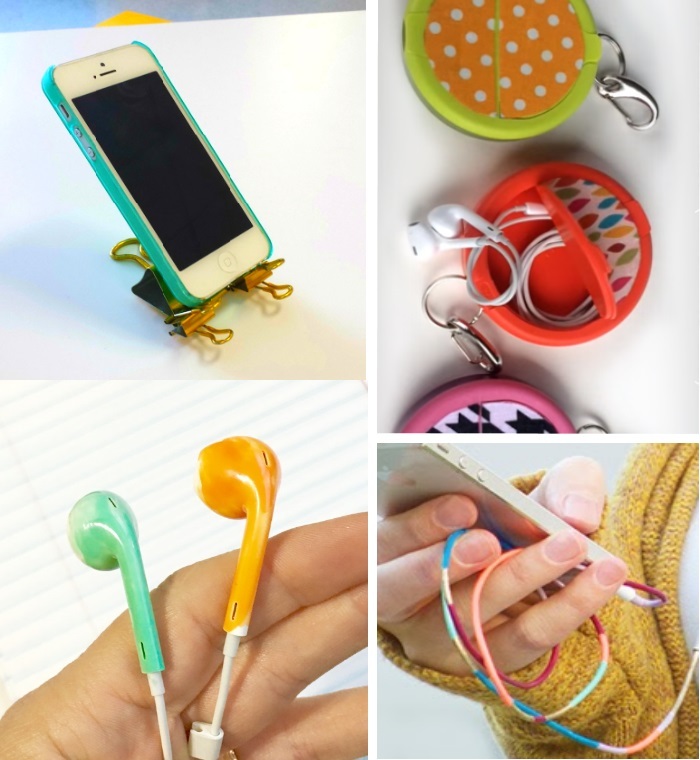 Earbud Case From Mint Container – Here’s a clever way to recycle your empty mint containers. These are the perfect shape and size for storing earbuds. DIY Workout Arm Band – Sock missing a mate? No problem! 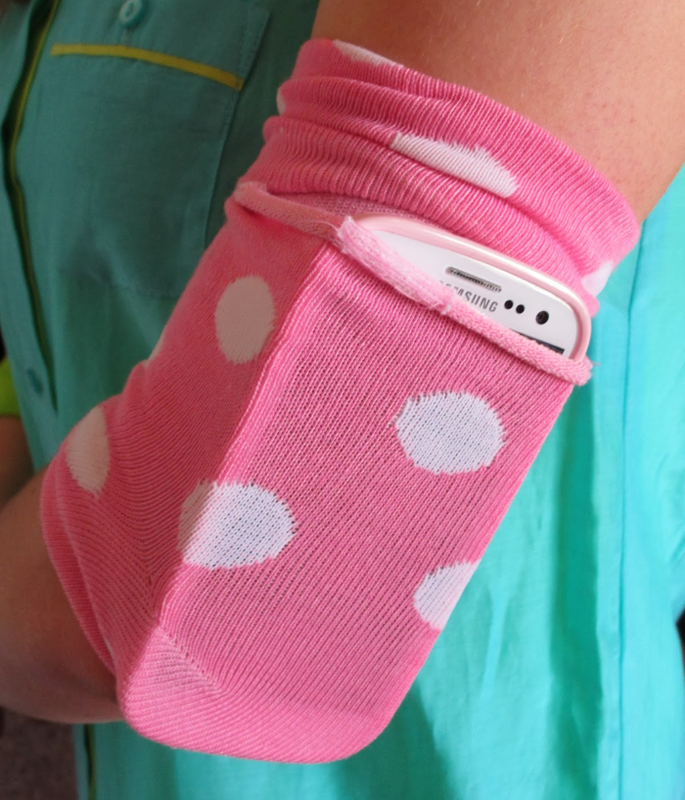 You can still put that extra sock to good use by making an arm band to store your phone during your next workout. 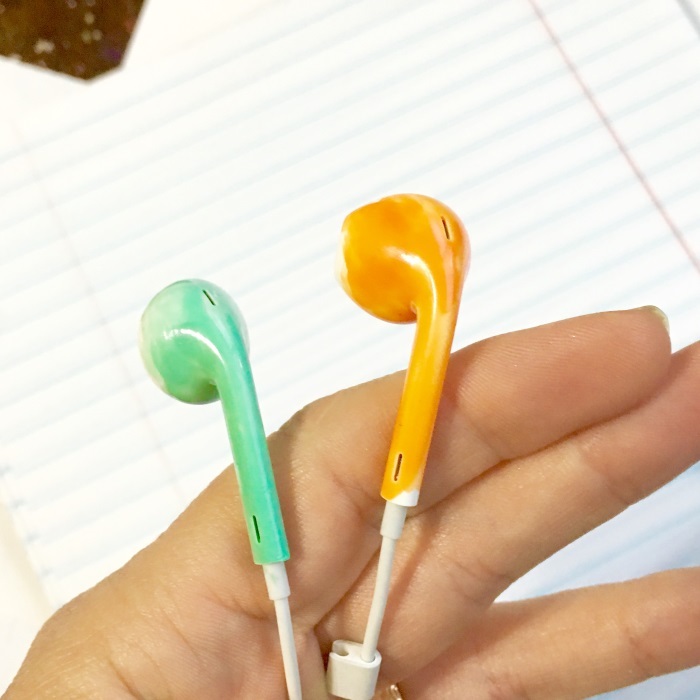 Painted Earbuds – So tell me I am not the only person who has gone to put her ear buds in only to have picked the “wrong” ear?? Never again! Differentiate the two ears from each other. Paint each a different color with nail polish. Added perk, your kids will know they are yours! 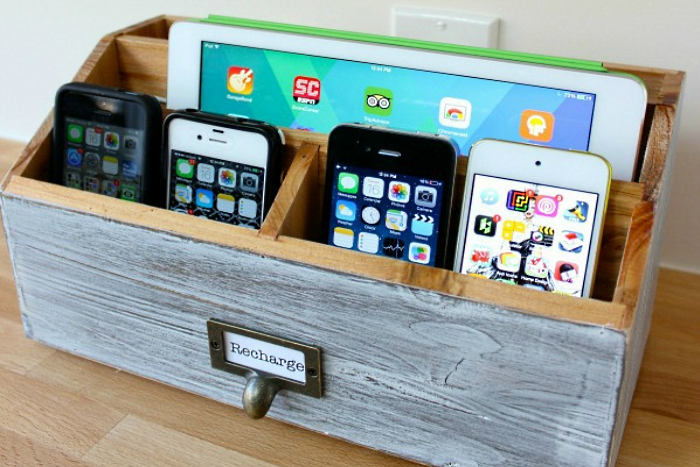 Family Charging Station – This DIY family charging station keeps all of your technology neat and organized. No more cords everywhere. Gorgeous. 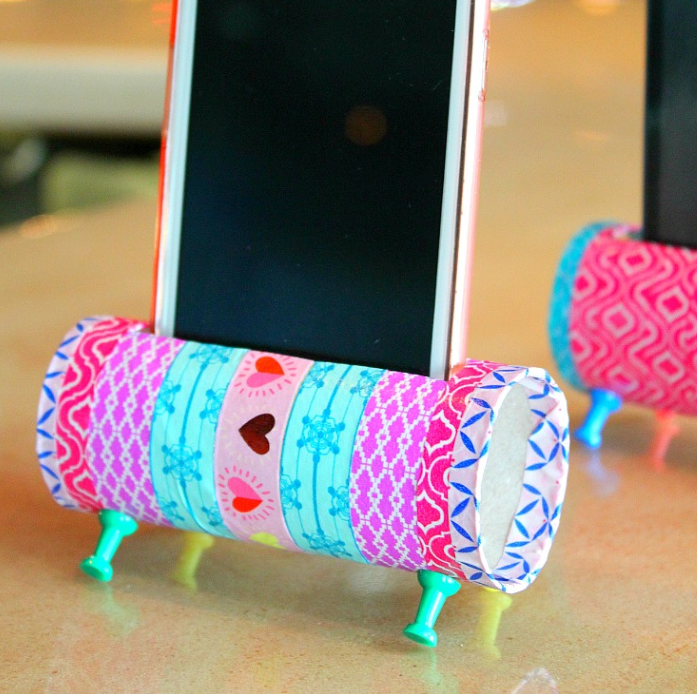 DIY Phone Stand – Put those empty toilet paper rolls to good use. Just add washi tape, and push pins. Viola! Not only does your phone stand up – hands free – the tube acts as a speaker amplifier, you will have a better listening experience!! 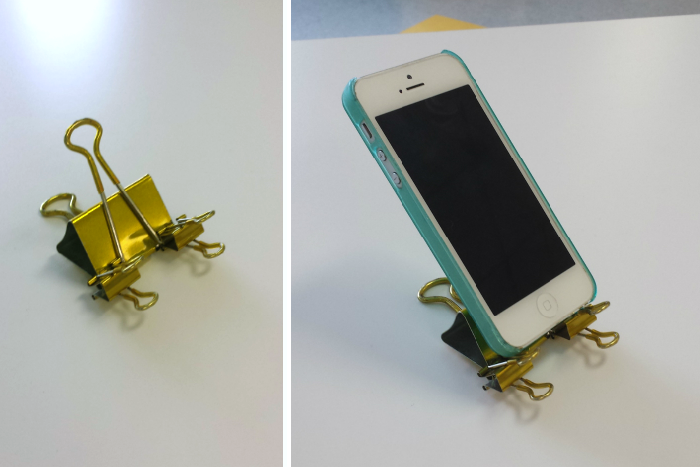 Simple DIY Phone Charger Holder – Cutest ever! So you want to charge your phone, but you don’t want your phone sitting in a pile on the floor? Try this!! The phone charger holder is designed to hang from your charger on the wall. Perfect for utilizing scrap fabric. How to coil a phone cord – Just genius!! We have all had our phone cords in the way, bunched chaotically, especially in the car, right? This is a great way to minimize your cables! Check out this amazing how-to video that teaches you how to coil a phone cord. All you need is a pencil, some tape and a hair dryer! Zip Tied Chargers – So you need to charge your phone but your charger “dock” is gone? Your kids used it who knows where – and it’s never to be seen again? Right? This happens at other people’s houses too, right?? 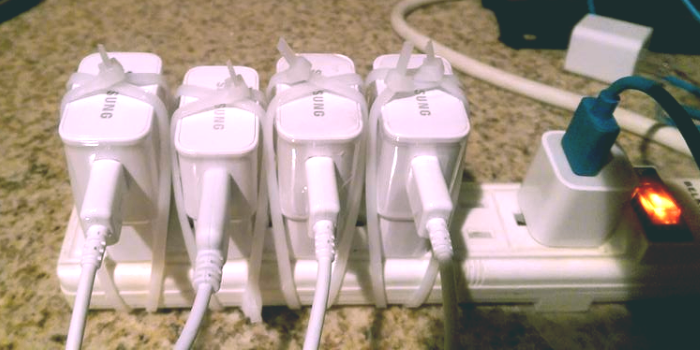 Keep your chargers from getting bumped and unplugged by using zip ties to secure them. Thanks James for sharing this trick with the world! Solar Charger – Going camping? Or maybe you just are constantly out and about? And you don’t always have access to a power outlet or have the ability to charge your phone?? 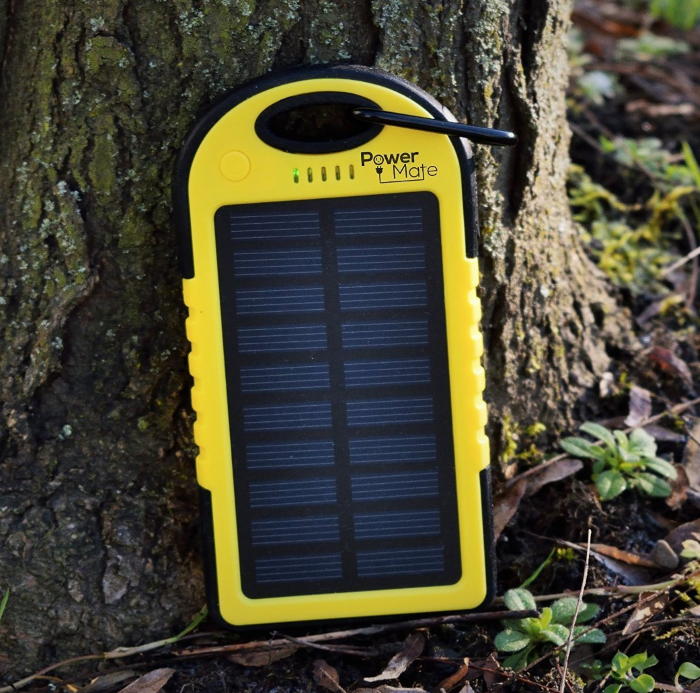 You’ll love this amazing solar charger that allows you to keep your phone charged – all you need is the sun! Keep track of those cords – So cool! A LEGO hand is the perfect “grip for a phone cord! 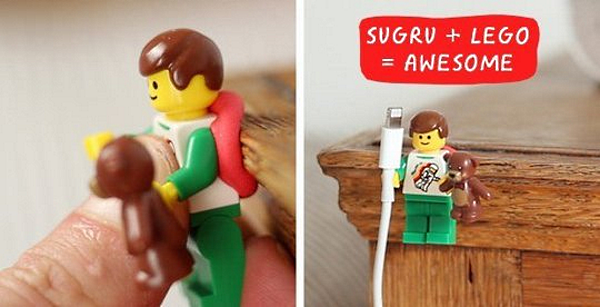 And you can hang just about anything – even a LEGO man – with Sugaru. 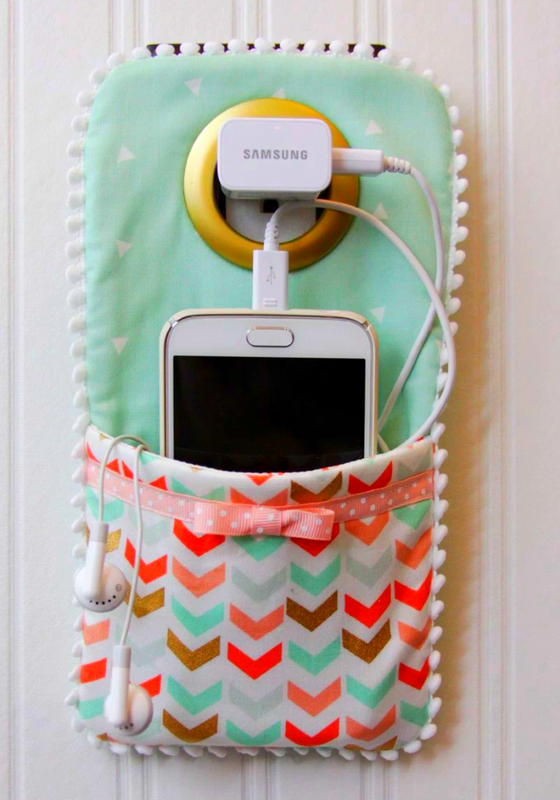 You can even make the worlds cutest cord holder! 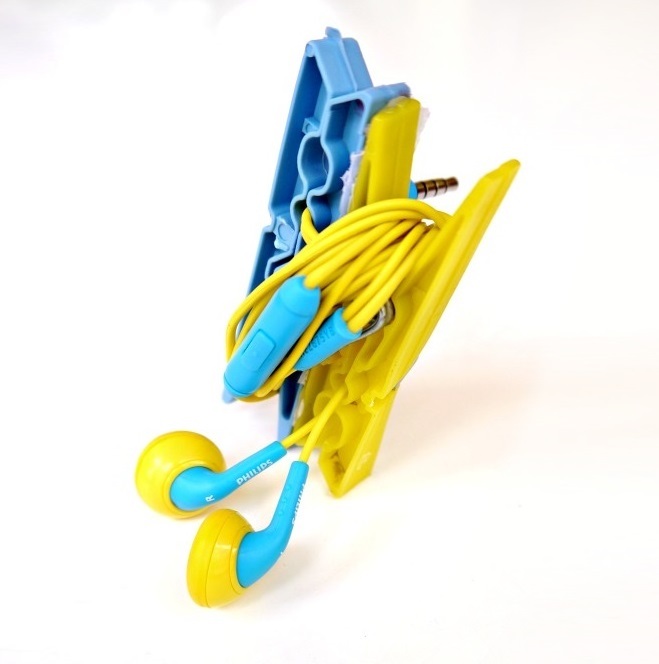 Organize your Phone Wires – This!! Phones come with a ton of different wires. I have the charging cable, the Extra storage device, ear buds, etc!! If you are like me and you have spares, consider wrapping them up with clothespins to keep them orderly and contained! 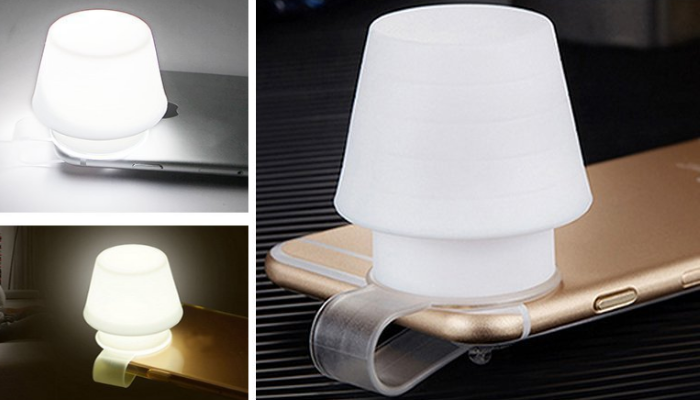 Lamp for your phone– You can turn your smart phone into a lamp. Seriously!! This nifty clip connects to the flashlight on your phone, diffusing the light! It is perfect for reading. 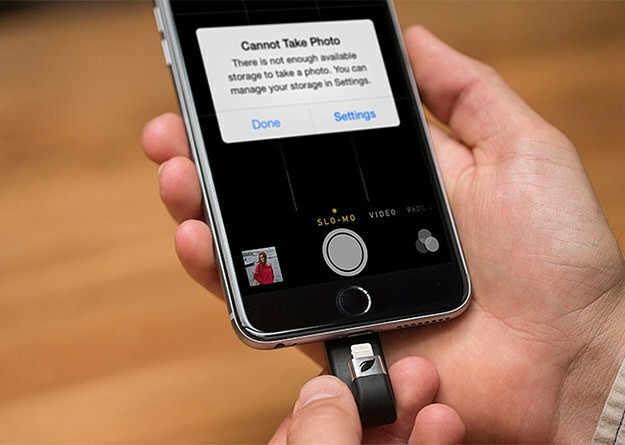 USB storage for your phone– Running out of space on your smart phone? It happens to me ALL. THE. Time! You can add up to 2GB to your phone with this nifty gadget. 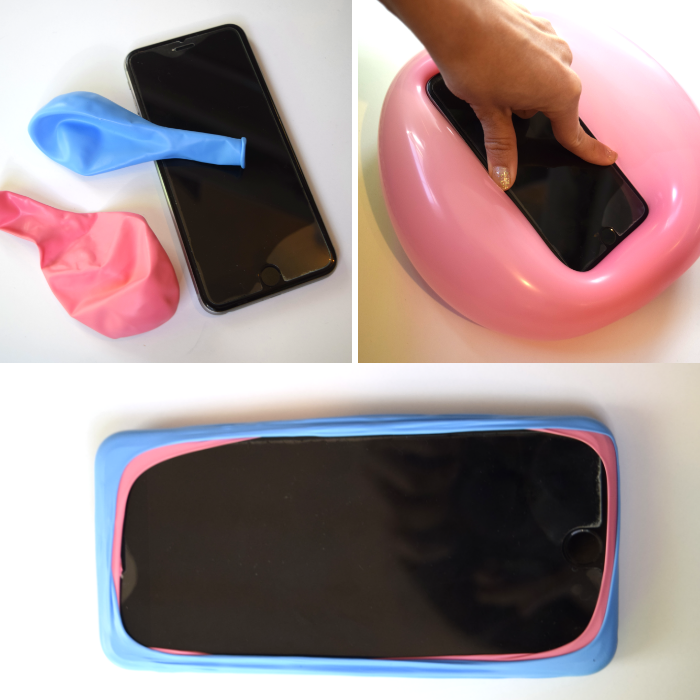 Make a Temporary Phone Case From Balloons – Ever have a phone case break? And you order another one but it will take a day or two for it to arrive in the mail? It’s happened to me! Balloons to the rescue! Balloons (you can layer as many as you want) are non slip and if you have a bunch of them can offer some shock absorbing power. These helped keep my phone safe until my case arrived! 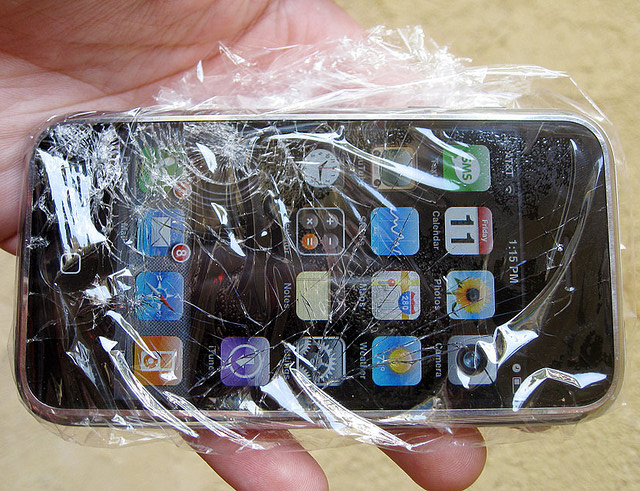 Plastic Wrap your Phone – And this last phone trick is perfect for when your screen is cracked but you can’t make it into the store to have it replaced yet! Plastic wrap to the rescue! Not only does it keep your fingers safe from slivers, it also conducts electricity, so you should be able to still use your touch screen if it is not too damaged! 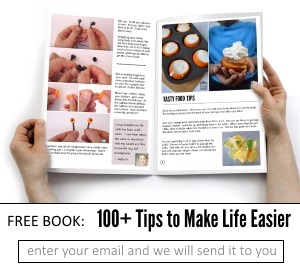 There you have it– simple phone hacks that will have you wondering “why didn’t I think of that? !” We work to make your life easier so that you can get the most out of your time and technology. These phone hacks are so much fun.